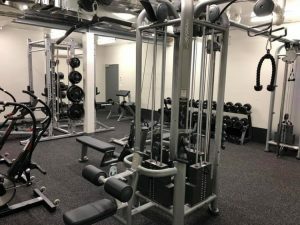 The Penguin Football Club now has a top of the range weight room for our players. 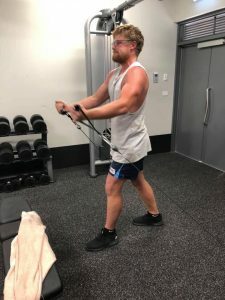 The equipment was purchased from Lifefitness Melbourne and took four months to arrive. We have a very expensive 4 stack multi jungle tower with 5 stations, a half rack half combo frame for bench press and squats, a 2.5 to 40 kilogram dumbel set, a treadmill with iPod and 19″ touch TV screen. We also have 2 total body trainer bikes and a Kaiser indoor cycle spin bike, a seated arm curl bench along with slam balls, medicine balls, power bands and plyometric benches. See one of our committee if you would like a tour and discuss membership options!